an interiorproject for Ku-De-Ta, a clothing store based in Kammestraat Antwerp. For this i provided a custom made clothing rack and two etalage pieces. 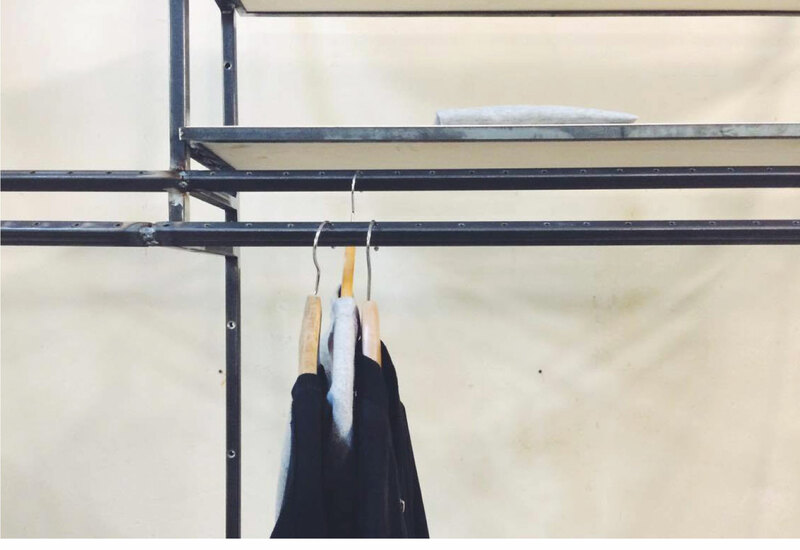 this clothing rack uses a system with pre – perforated holes to hang your hangers. with this system you hang the hangers on a fixed distance from each other, which will give the store a balanced and quiet look, this was necessary because it’s a very small store. an extra bar behind the rack is provided to double the stock of the clothes. for the etalage pieces we used two pieces with a non geometrical look. you can flip the etalage pieces every side you want to hang or present the clothes in the etalage. this gives them extra creativity to chang the etalage more frequent in a fun way.